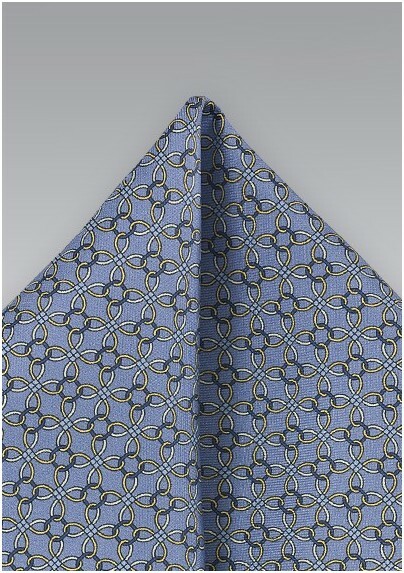 Turn up the pattern on your fashion by mixing and matching this Limited Edition designer pocket square with your garments. 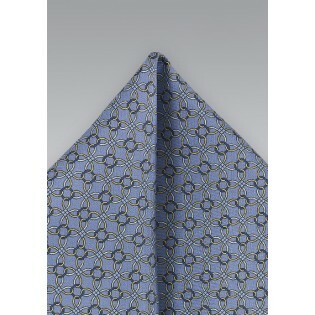 The highly handsome pattern captivates the eye while creating and maintaining a cohesive look from head to toe. For a smart and fashionable summer look, simply fold this pocket square into the pocket of a navy blue blazer and pair it with a yellow oxford and cotton chinos. Crafted from one hundred percent European silk.